Studies indicate that beta-carotene has potent anti-cancer properties and may actually reverse precancerous conditions such as oral leukoplakia, a pattern of abnormal cell growth that often leads to mouth cancer in people who chew tobacco. Additional studies indicate that other members of the carotene family may have similar cancer-fighting potential. Human body is such a complete, but symptom-less and mind-boggling an entity, that it is, and still remains a mystery to medical world. Despite continuous research and relentless efforts by many scientists, diseases like cancer, hypertension, AIDS, stress/strain still continue to resists treatment. It is not that lines and modes of treatment are inadequate to meet the challenge posed by killer diseases. But, the real problem and misfortune lies in their late detection and when those are detected (and such detection comes per chance only) by that time, the disease had already wrought damage of irreparable/irreversible nature. In such sorry and painful state of affairs the doctors and patients are required to fight a lost battle, to salvage and protect what has been left behind and how to stop further damage. It is difficult to rectify and make up for the damage already done but further damage can be arrested, even though for some time only. Like diabetes, cancer has many hypothetical theories, host of causes, contributory and precipitating factors, and still evades complete treatment, what to speak of cure. Any growth, of malignant nature, is termed as cancer or cancerous growth. Contributory factors can be stress, diet, heredity, virus infection, drug-use, hormonal imbalance, overuse of spices, astringents, alcohol, tobacco, other intoxicants, chronic irritation, professional hazards and inhalation of poisonous pollutants, atmospheric and chemical carcinogens. Seat of cancerous growth in a human organ generally determines the causes which caused cancer. For instance in ladies, chronic leucorrhoeal discharge, uterine cancerous growths, repeated pregnancies, tumors in breast give rise to cancerous malignant growths. Nose, throat, mouth, lips, tongue, larynx, pharynx, oesophagus can have cancer due to tobacco-use, too hot and too pungent foodstuff. Cancer in liver, intestines, stomach, spleen can be caused by use of alcohol, drugs or certain medicines and foods. Cancer in brain, eyes, bones and other organs owes its origin to many of the above and some other factors. Any wound which discharges pus and has assumed malignant appearance may also turn out in the form of cancer. Nature is so kind to all human beings that it continues to send warning signals of the body to mind. But, when such warning signals use ignored and neglected, overtly or covertly, the patient is in for greater danger of a serious disorder. At the very onset of an unusual or recurring symptom(s), at once seek help of your doctor and once the symptoms have been understood and disorder deduced, then no time should be wasted to go all out for a specific line of treatment. Delay will only complicate matters. First step should be to palliate pain and restrict further spread of disease to adjoining tissues and organs. Next step should be to treat the actual disorder. True and honest rapport between the patient and his doctor cannot be denied or overlooked. It has been seen that, even after so-called excision (removal) of cancerous growth, the adjoining tissues continue to be affected and invaded by post-operative latent growth which often remains dormant and undetected. So, proper caution, due and necessary treatment and follow up measures are very necessary to contain the disease. Effort must always be directed towards further spill over of disease to other healthy organs of the body. Surgical interference, radiation, chemotherapy are responsible for weakening general resistance and immune system of body. Strong and healthy immune system will help the body to fight out with cancer. Howsoever, expensive or foolproof the treatment may be, if it fails to sustain and preserve immune system of the body, no kind of treatment shall be able to take hold of the disease. 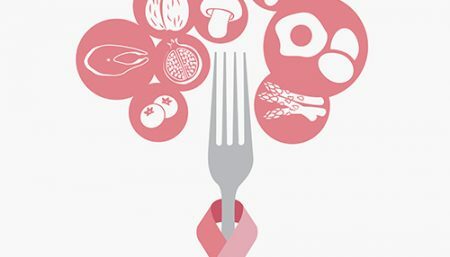 Switch over to dietary modification is very imperative for treatment of cancer. 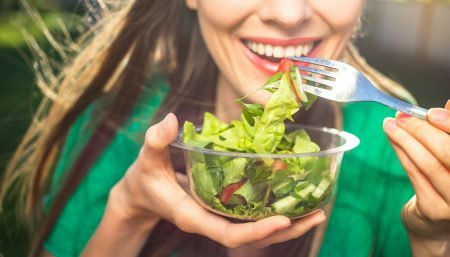 Diets, rich in proteins, fats, sugar, meat, should be dispensed with and substituted with natural nutrients, which are present in fruit and vegetable diets. First requisite to scavenge the body from toxic elements and also halt production of such toxins in future. Beta-Carotene is said to prevent cancer and also stop further advance of this disorder. Green and red fruits and vegetables do contain, in plenty, beta-carotene and body-system converts beta-carotene into vitamin ‘A’. 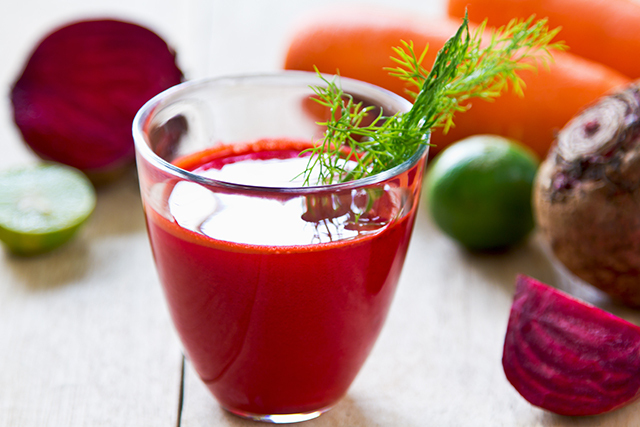 Take a glassful of juice of carrot, at least 1-2 times daily, as it is a protective shield against cancer. Take daily cabbage, kale, cauliflower, turnips (also sprouted foods), broccoli juice to have carcinogens excreted. Pungent vegetables like garlic, ginger and garlic have qualities to fight cancer. Tumors in breasts can be fully cured by the use of oils of fish. Strong-flavored onions can be harsh on your social life, but they’re potentially great for fighting cancer. Researchers at Cornell University have found, in preliminary lab studies, that members of the onion family with the strongest flavor — particularly New York Bold, Western Yellow and shallots — are the best varieties for inhibiting the growth of liver and colon cancer cells. 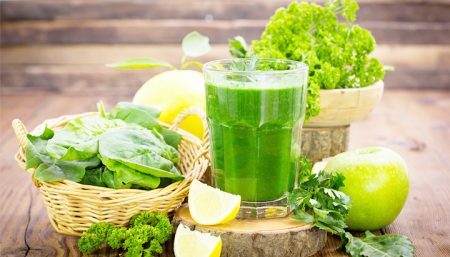 Iron, Beta-carotene, selenium, vitamin ‘C’, calcium, potassium, vitamin ‘E’ can be easily obtained from juice of apple, spinach, green pepper, parsley, garlic, turnip, kale, orange, broccoli, carrot, collard greens and all the said nutrients are preventive and curative of cancer. They arrest further spread of cancerous growth. Nutrients, such as zinc, iron, vitamin B-6, vegetables that supplement fibre, selenium are all essential ingredients to provide immunity and also help in restoration thereof, protect liver from toxins and malfunctioning, promote free movement of bowels and also promotion elimination process of body, to keep it free from toxins and rubbish foreign bodies. Food regulation should serve to eliminate toxins, retard further progress of disease and finally cure. Patients should avoid, as far as possible, yeast rich foods; all confectionery stuff, frozen and canned food, crystal (refined) sugar or, for that matter, sugar in any from (even sucrose and fructose). Use sparingly dried meats, poultry, fish, peanuts, milk-products (excepting yoghurt or butter, but that also in limited and moderate quantity only). It’s important to note that when experts recommend juices, they’re not talking about the prepackaged juices sold in supermarkets. 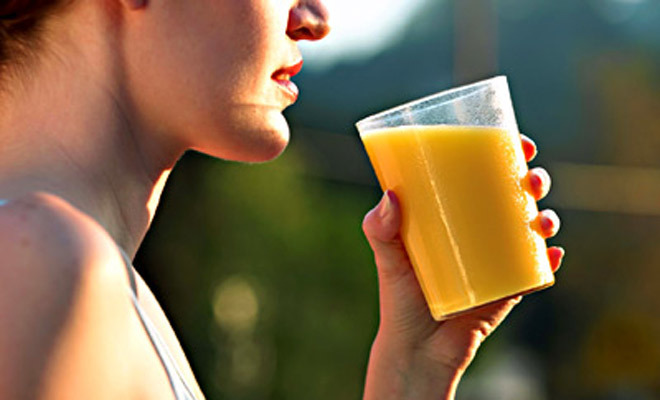 Processed juices bear very little resemblance to fresh juice, either nutritionally or aesthetically. 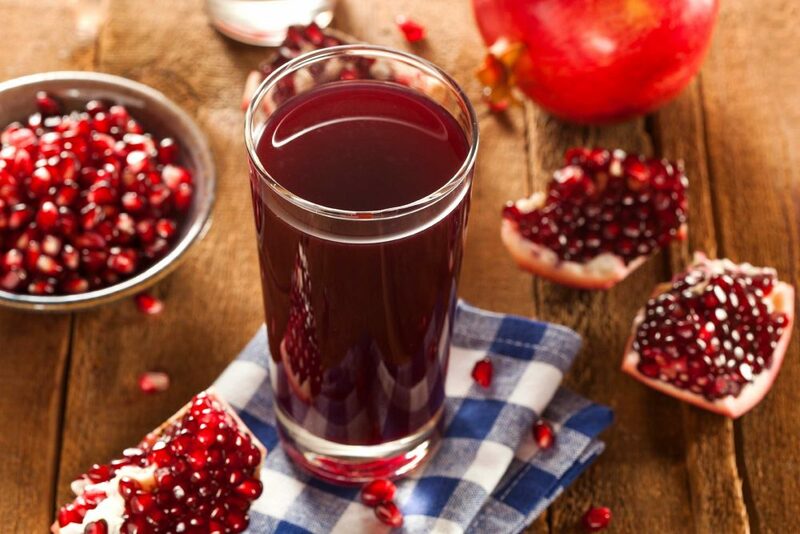 While fresh juices and prepackaged ones may start out equal, all store-bought juices are pasteurized, a process that involves heating the juice at very high temperatures to maximize shelf life. While pasteurization is necessary to prevent spoiling, it destroys many of the juice’s fragile vitamins and enzymes. While store-bought juices are better for you than cola, coffee or alcohol, they aren’t considered to have much therapeutic value. 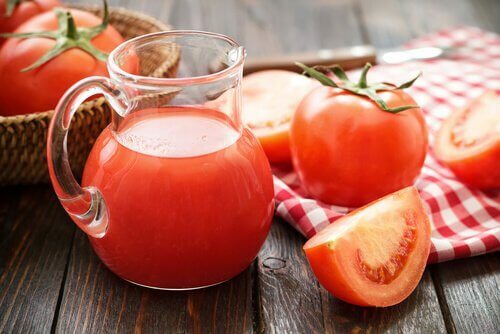 For maximum benefit, drink your juice immediately after you make it; within a half-hour is best. Juices stored in the refrigerator lose their nutritional value rather quickly. As soon as a fruit or vegetable is processed in your juicer, the natural enzymes in the juice begin to break down the other nutrients. Because vegetables contain more enzymes than fruits, their nutrients are depleted faster. 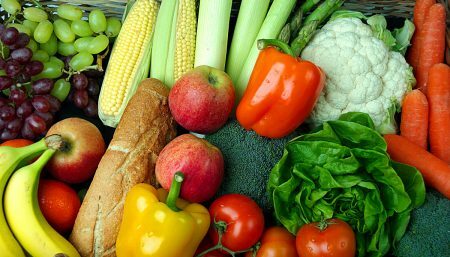 The National Cancer Institute recommends eating at least five servings of fruits and vegetables a day.